Over 70% of our planet is covered by ocean, yet it remains one of our greatest mysteries with less than 15% of the world’s oceanic environment having been mapped in high resolution. In The Seabed, we dive in to discover some of the mysteries of the deep! 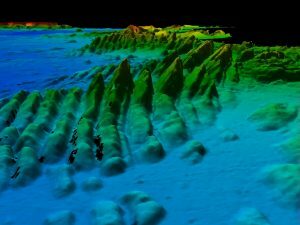 Aoibhinn meets Maria Judge of Geological Survey Ireland to find out about ‘The Real Map of Ireland’ that reveals details of the incredible mountains and canyons that are hidden beneath the waves. As an island nation, the sea plays a pivotal role in our history and heritage, and the thousands of shipwrecks that litter the seabed provide a deeply emotional connection to the ill-fated voyages and human tragedies our past. 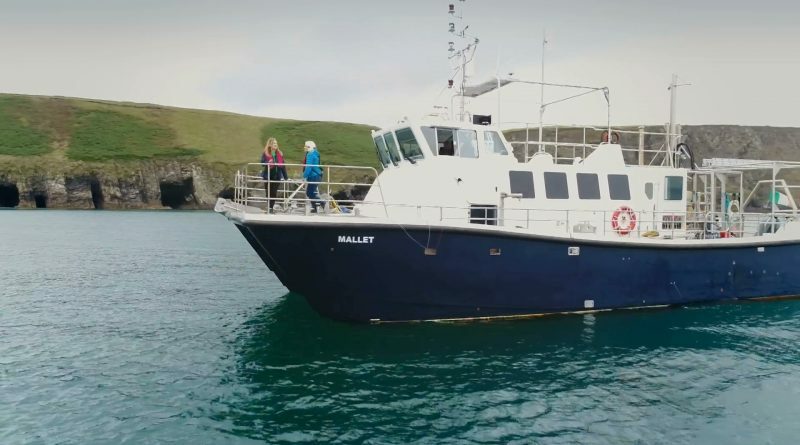 Kathriona meets GSI’s Charise McKeon, who is using sonar imaging technologies to map shipwrecks and help maintain, preserve and protect Ireland’s maritime heritage. And in part two, Jonathan meets seismology expert Prof Chris Bean to investigate one of nature’s most terrifying phenomenon – tsunamis – and meets the researchers who are embarking on one of the most ambitious deep-ocean research projects ever undertaken in Europe that will further our understanding of these terrible monsters of the deep. Meanwhile in Weird Science, Fergus recounts a fascinating tale of lost soviet nuclear submarines and an ingenious US seabed mining cover-up that’s more outlandish than any fake news story from today! ← New series starts Monday 12th November, 8.30pm on RTE One!